Home › Zourman 3 Zone Ride Conversion Module › Black Friday Is Here! Black Friday is here! That means the BEST SALE OF THE YEAR! 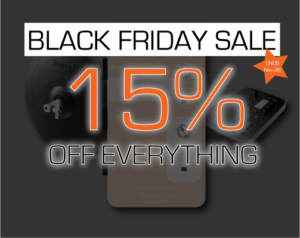 For a limited time, we’re offering 15% OFF EVERYTHING in our webshop for the Zourman Drums Roland to 2box and more conversion modules. No limit. Use the code as many times as you like. Share the code with friends and colleagues! Act fast. The code expires Tuesday, November 26, 2018. TAKE ME TO THE WEBSHOP! ‹ Did you know that – 9 factory kits found in DrumIt Three are using Zourman Drums Black Beauty Snare?